The aesthetics industry is one of the fastest evolving and most dynamic industries in the world today. Every year, new treatments, products, and technologies are brought to the forefront, offering solutions for almost every conceivable condition. However, it has become more and more apparent that physical appearance is only one aspect of the total health picture. History and experience have shown us that addressing internal and external issues are of equal importance. 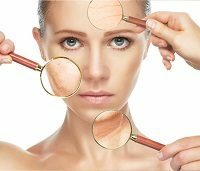 This is where the Renewal Institute’s holistic approach to anti-ageing stems from, and today clients are all encouraged to investigate potential underlying conditions that may be the cause of a particular symptom.